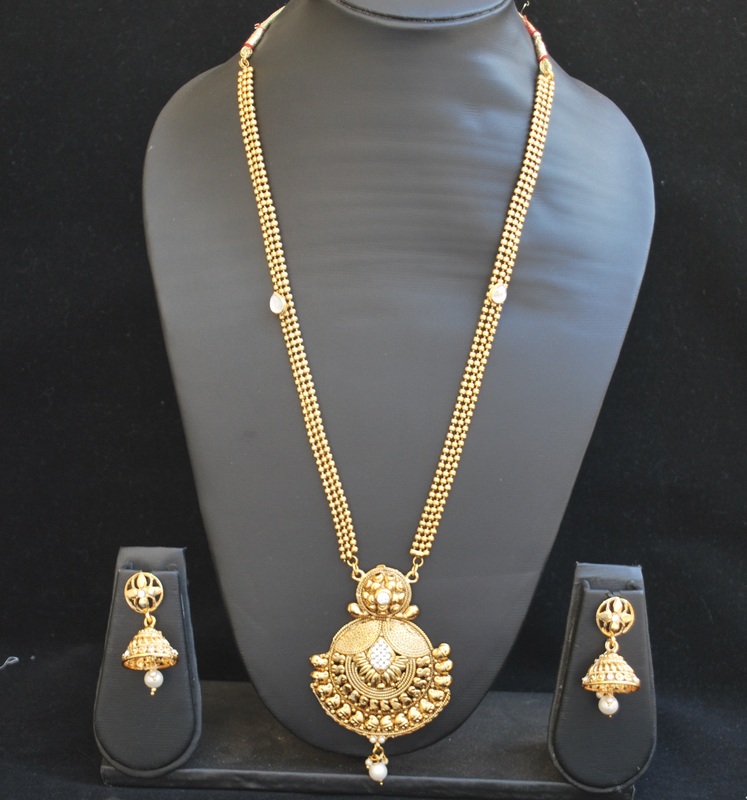 A beautiful addition to your growing collection of jewellery, this set comes in a white non-precious stones on the pendant. 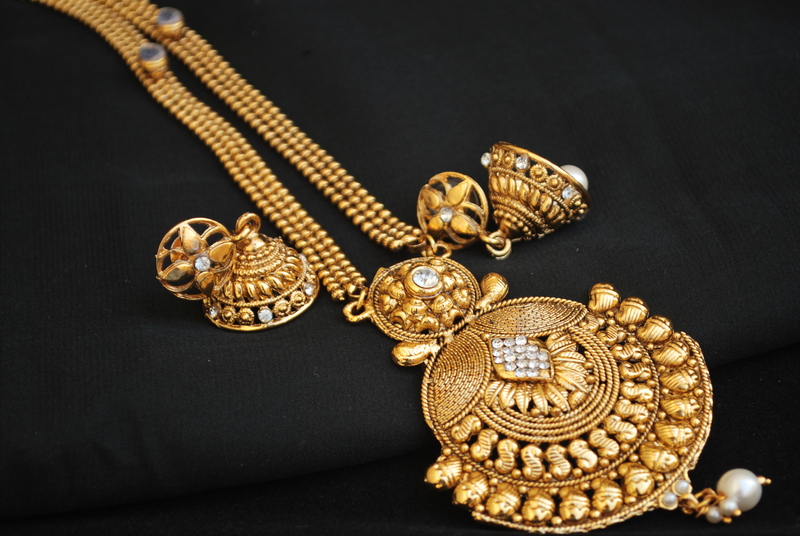 The pendant is attached to long Beaded Chain, making the length of the necklace 33 cm’s long. 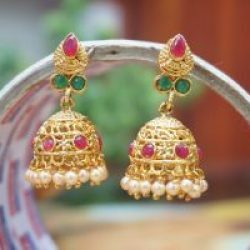 The earring are matched in the form of jumkii’s with small little danglings. 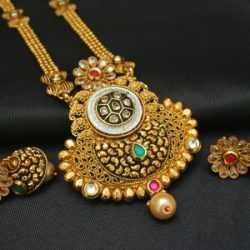 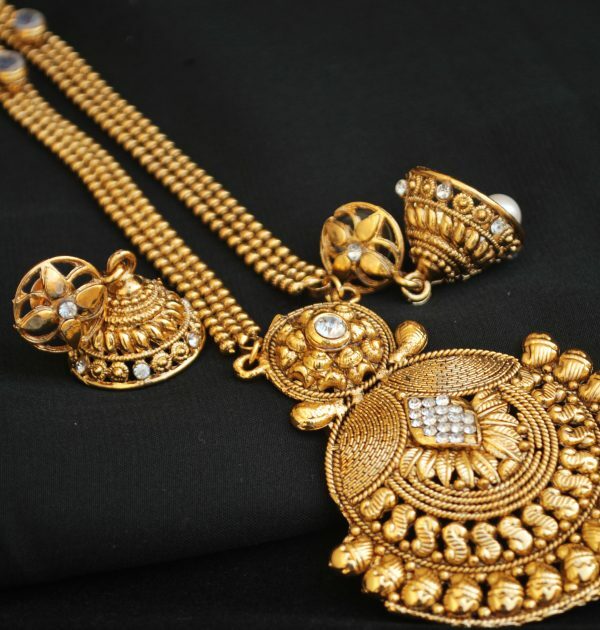 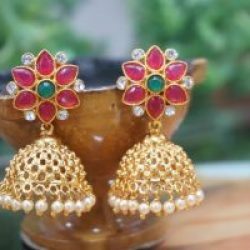 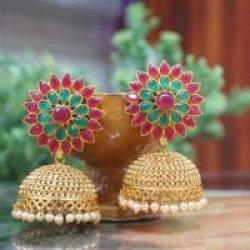 The design on the pendant are sharp and necklace set in Gold Tone makes it wearable on Occasions – Wedding, Festive, Engagement. 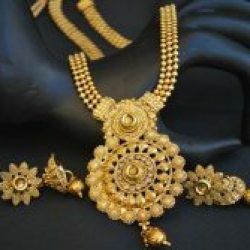 The Long Haram necklace set perfectly goes on all Traditional Wear like sarees, lengha-choli, anarkali dresses. 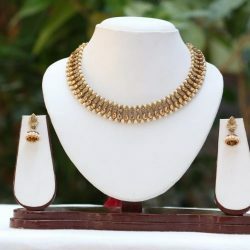 The necklace set perfectly matched kanjiwarama Sarees .